Newcastle Realty Services purchased an 88-unit multifamily building at 658 West 188th Street in Washington Heights, paying $23.1 million. The seller, the Stadtmauer family’s Mauer Bach Realty has owned the six-story, 98,000-square-foot building since at least 1972, according to property records. 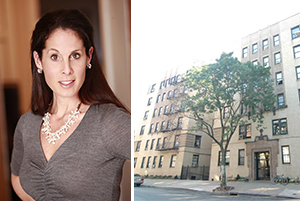 Newcastle, led by Margaret Streicker Porres, had its condo conversion at 101 West 78th Street halted by the Attorney General in January over complaints that rent-stabilized tenants were being pressured out. In June, Newcastle settled with the AG, admitting to having induced a dozen tenants to vacate and to prematurely removing five apartments from rent stabilization, and accepting a $1.2 million fine. Back in March, Newcastle, paid $42 million for a pair of nearby rental properties, at 4101 and 4113 Broadway.